Gordon Smith (website) is a Southwestern internist physician and a part-time landscape photographer who’s also a lifelong poetry fan, and says he continues to read and compose poetry during inspired moments. Something about the way the edge seems to drop away makes me want to shout CAREFUL…! Must be something to do with having children. Beautiful image. Something about this makes me think ghosts are sitting on the stumps deciding which one will go over the cliff first even though they’re already dead. Must be a too-hot day here. . . Lovely photo. This photograph makes me wish the word ‘evocative’ wasn’t so over-used, because that’s what it is. 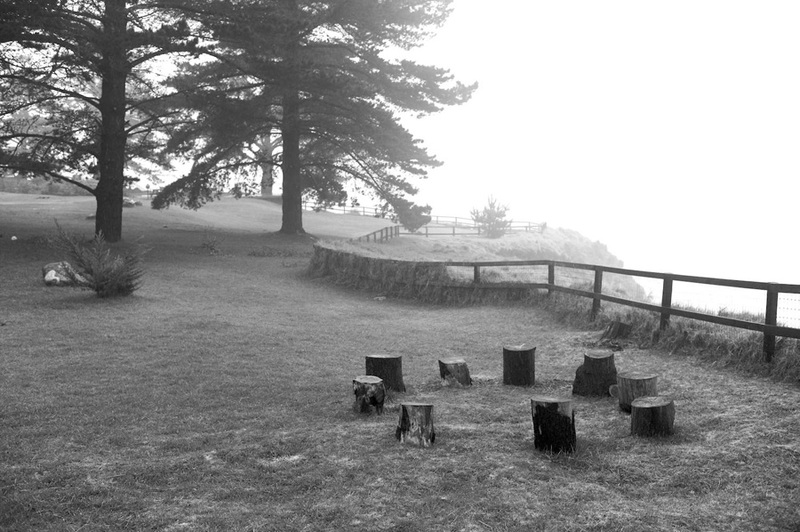 Very seductive, I want to have a group in that circle, to sit there and feel the power of that place. Little black dress— Arezzo. Casa Petrarch.